On the right side of the ring, we have to long-standing champion of camping coolers, Yeti, coming in with a strong reputation and staggering price tag. On the left side, we have the contender, RTIC Coolers, who has been giving Yeti competition with similar design and a lower cost. Which of these two coolers is going to be crowned the champion? We have the in-depth comparison you need to make the decisive call in the RTIC vs Yeti brawl. Yeti started in 2006 in Austin, Texas by the Seiders Brothers. Because the brothers were frustrated the high quality portable coolers for hunting and camping didn’t exist, they decided to do something about it. Thus, they came up with the rotomolded cooler design, finding that, when properly stored, their Yeti coolers could retain ice for up to two weeks. When Yeti first premiered, there was no other product on the market like it. These two companies have been more than just competitors in the marketplace. If you’ve been researching Yeti and RTIC for some time, you might be aware of the case that Yeti raised against RTIC for patent infringement, Unfair Competition, and Trade Dress Infringement. 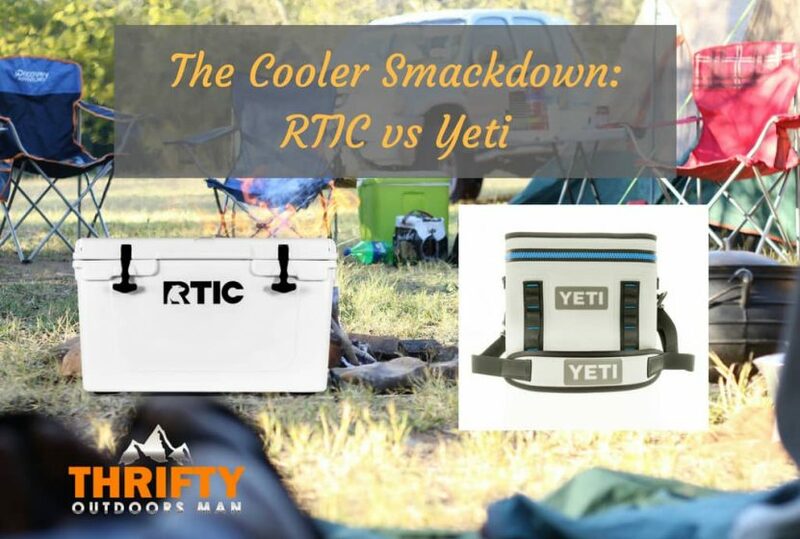 The claim was that the RTIC coolers were a copy of Yeti design—which isn’t false. That case has since been settled, and RTIC has vowed to revamp the designers of their coolers to make them more unique but still square up equally to Yeti as much as possible. That said, even with the redesign, the two cooler models are still strikingly similar. Rotomolded design – Rotomolded is a term that refers to the process known as “rotational molding.” This manufacturing process requires high temperatures and low pressure while creating a plastic unit with seams. The same process is used to create everything from kayaks to hollow chocolate treats. Non-slip feet – an excellent feature for those who transport the color on a pickup truck or plan on putting the cooler on a boat. Another thing you want to keep in mind is the available capacities. Yeti has 10 cooler sizes that aren’t offered by RTIC, such as the Yeti 35, 50, 75, 105, 210, and 350, just to name a few. Recently, RTIC released the 110 and 145 models to match up with larger sizes from Yeti. Silicone T-latches – these special latches are user-friendly, easy to grip, and resilient in all kinds of weather. Although Yeti has far more sizes than RTIC, the ones that both companies offer are very similar in size, weight, and capacity. Therefore, this makes comparing them easy. Presently, Yeti and RTIC have 20, 45, and 65 quart models shared between them. Only Yeti has the in-between 35-quart size. Similarly, while Yeti has a 105 model, RTIC has an 110 and 145. Because of this, we’re going to look at the 20, 45, and 65 quart models side-by-side. Both the RTIC 20 and Yeti 20 have about 4 days of maximum ice retention. 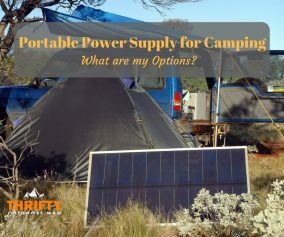 The main difference between both brands’ 20-quart model and the rest is that the Yeti Roadie 20 and RTIC 20 have a metal handle bar and soft grip that makes for better portability. Both companies remove this bar with the larger sizes. Because the RTIC 45 is slightly larger than the Yeti Tundra 45, you can expect a slightly longer period of ice retention. While the Yeti 45-quart model will keep ice for about 5 days, the RTIC 45 will last up to 6 days. Though this isn’t much of a difference, it does prove that RTIC’s capacity and insulation is slightly superior. Both the Yeti Tundra 65 and RTIC 65 are lined with thick insulation and have impressive retention rates. However, while the Yeti 65 can hold up to 56 pounds of ice and retain said ice for up to 7 days, the RTIC 65 will hold up to 69 pounds of ice and can keep it for 8.5 days. As you can see from the above information, RTIC beats Yeti in a direct size and capacity comparison. Since RTIC coolers are bigger both on the inside and outside, this allows for more items to fit inside. 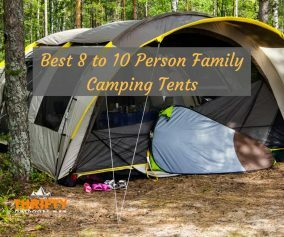 While it may just be one or two cans of beer, that can certainly make all the difference in at a get-together or outdoor adventure. The downside to being more spacious, however, is that RTIC is consistently 1-3 lbs heavier than a Yeti cooler. That said, if retention is your main objective, then either rotomolded cooler brand will meet and exceed your expectations. For those who are trying to decide between which soft-sided cooler to pick, this section is for you. Ever since the closing of the lawsuit, RTIC has redone their soft coolers, so unlike the hard-sided colors, you can spot immediate style differences. When looking at the Yeti Hopper and RTIC SoftPak next to one another, the size difference is obvious. The Yeti soft-sided cooler has an impressive amount of insulation to maximize ice retention, as well as some nifty features that make packing lunch more convenient. Yet, the Hopper (20, 30, and 45) lacks volume, so opening and closing the cooler frequently will cause ice to melt much faster than anticipated. RTIC has matched the efficiency of the Hopper and can even hold more. For example, the Hopper 20 holds only 18 cans of beer, while the RTIC SoftPak 20 holds 20 beer cans. This difference in capacity can be attributed to the shape of the SoftPak. At last, we have come to the final head-to-head comparison between Yeti and RTIC—the drinkware! 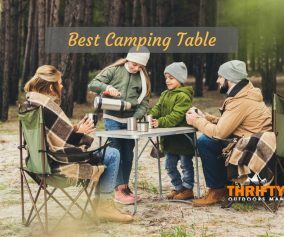 Though not as widely sought after as a rotomolded cooler, having high-grade drinkware for camping, hiking, or any other activity definitely makes the outdoors that much greater. Both Yeti and RTIC offer cups in a range of ounces, going from 10 oz all the way to 64 oz. Both lowball models hold approximately 10 ounces of liquid. Not surprisingly, the design is also similar. Both have 18/8 stainless steel construction paired with double-wall insulation, and don’t sweat. These two cups will keep ice cold for 0.5 hours. The only difference between the two would be that the RTIC 10 oz Lowball comes with a lid, but this doesn’t change performance, only convenience. Both of these 20 ounces tumblers can hold either hot or cold beverages; feature 18/8, double-walled vacuum-insulation; and have a one-piece design. The RTIC Tumbler is slightly taller than the Yeti Rambler, but those doesn’t effect the performance. Both the Rambler and Tumbler can keep ice cold or coffee hot for around 24 hours, with the RTIC version topping Yeti’s by just a few minutes. There is also 30 ounce versions of the Tumbler and Rambler. These sizes hold 50% more liquid, but they still only keep liquid hot or cold for 24 hours. The “Bottle” from both companies comes in 18 oz, 36 oz, and 64 oz sizes. The main difference between the Yeti Rambler and Rambler Bottle is that the bottle has a twist-off cap instead of a snap cap. Again, these bottles are a sleek one-piece design, are made of 18/8 stainless steel, and have insulated walls. Bottles retain the temperature of liquids for about 24 hours, with RTIC beating Yeti by 10-30 minutes. Both Yeti and RTIC have an array of sizes to choose from, but when it comes to selecting the correct size for your needs, one brand might have the perfect fit. If you routinely need a large cooler for social gatherings, long road trips, and back-up refrigeration, then choosing a large capacity cooler is obviously going to be the wiser investment. Those who do a lot of hiking alone or only need a cooler that serves 1-4 people won’t need a monolithic ice chest. In other words, Yeti is more fit a party, since the size range is bigger, and the coolers are a few pounds lighter than the competition. RTIC, with their increased dimensions and capacity, even at the smaller end of the size spectrum, will serve smaller groups better—especially if you can share the task of carrying it between two people. Since the overall look of a cooler can play in part in what you choose, it’s important to consider customization options and so on. Yeti, at its core, is all about simplicity, but that doesn’t mean you can’t find a color or design that suits your tastes. There’s a range of colors to pick from (Charcoal, Ice Blue, Coral, and so on), and the company even has a special service that lets you get coolers printed with custom logos. The soft-sided coolers and tumblers also come in a range of similar colors. On the other hand, RTIC is limited in their colors and customization options. Their hard coolers come in muted colors, such as Ocean Blue and Mojave Tan. RTIC SoftPaks are slightly more attractive than their Yeti counterparts. Drinkware by RTIC also comes in camo patterns, including variants like Viper Snow, Strata, and Kanati as well as plain, one color options. Another thing to keep in mind is that none of these coolers come with wheels. Neither brand has designed coolers that are made to keep food hot, either. In fact, putting anything hot inside of Yeti and RTIC coolers could cause the plastic to melt, so only use the hard and soft coolers for keeping things cold. Only the tumblers offered by both brands are capable of holding both hot and cold liquids. Both brands are stepping up their marketing game and offering a number of accessories you can purchase, such as apparel, tumblers, stickers, and whatnot. However, there’s not much that you can buy for your coolers. RTIC does have a zipper lubricant for sale, just in case the zipper gets worn down after prolonged use. Furthermore, for hardside coolers, you can buy small baskets for the inside of the cooler that allow you to suspend food above the ice. Dividers are also available to help keep food and drink separate (or separate alcoholic and non-alcoholic beverages). Yeti doesn’t have much for their soft-sided coolers. There are Yeti brand ice packs and bottle openers that might come in handy for whatever you plan on storing. For their rotomolded coolers, Yeti also has baskets and dividers that are similar to RTIC’s. A standout accessory, though, would be the additional locks and cables that can keep items in place. These locks and cables are also up to the bear-resistant standard. Though the average user of either cooler will probably never have to worry about the warranty, because both brands are known for incredible durability, one company does have better coverage for their goods than the other. Yeti offers a “Yeti-Wildly Stronger” 3-5 year warranty for all rotomolded coolers and soft-sided coolers. The Tundra and Roadie styles have the 5-year guarantee. RTIC covers their hard and soft coolers, as well as their duffel bags for 1 year. 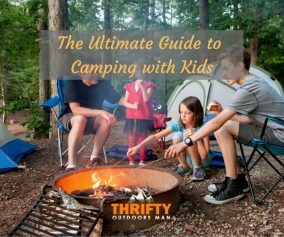 Stainless steel drinkware and camping accessories are covered by a 90-day guarantee. Moreover, with the recent spat between these two brands, there has been an influence on reputation. Yeti has the advantage here. Not only does Yeti have years of customer loyalty, they have established themselves as the benchmark of rotomolded coolers. When reading reviews from other customers that had issues with Yeti products, we found that no one complained about the customer service. Yeti as a wonderfully helpful customer service center with a number of representatives to provide immediate assistance. RTIC damaged their reputation slightly when getting slammed with the lawsuit, and while they have improved rapidly since forming in 2014, they still aren’t as favored as Yeti. Additionally, many customers have experienced problems contacting RTIC, especially when using the automated ticketing system. Any rotomolded cooler is going to be expensive. Since Yeti is the benchmark of rotomolded ice chests, the high price tag is as certain as the superior quality of the items. If you can afford the Yeti, there’s no reason not to purchase one. Not everyone can afford to invest a ton of money on a Yeti cooler, though. When searching for alternatives, RTIC is bound to be the top pick. Since the design of the hard and soft coolers is a clone of the original Yeti design, you needn’t worry about faulty manufacturing. If you are looking for a budget friendly cooler that is not a yeti or RTIC than check out our post Best Cooler on wheels. Seeing how Yeti has become the golden standard of coolers, even the toughest of competitors, such as RTIC, will have a difficult time overthrowing the brand. When looking at Yeti vs RTIC comparisons, looking at colors, design, functionality, capacity, and so on, it really depends on personal preference. RTIC coolers are larger, but Yeti coolers are lighter, and so on. Both are manufactured to be of superior quality, yet those who are looking for a budget-friendly price tag will probably opt for, RTIC, the chosen Yeti alternative. You can also check out our comparisons between Yeti vs Grizzly Coolers and Yeti vs Pelican Coolers.